Shrewsbury house buyers are flocking to Bowbrook Meadows - a stunning new part of the community, which recently opened its doors to the public. With more than 80% of the homes released already sold, the New Year is proving to be a busy time for sales advisors Kerry and Carole. "Opening our show home last summer gave this new location a real focus and gave us the opportunity to exhibit the quality build and design you get with a Bovis Home," said Regional Marketing Manager Carina Wilde. "The show home is a spacious five-bed family home which is a real crowd pleaser and has attracted a lot of favourable comments. "The interest certainly hasn't dropped off over Christmas. It seems a lot of people are considering making a move in the New Year and they are impressed by the advantages that a new-build property brings." House hunters can visit the location, off Mytton Oak Road from 10.00am to 5.00pm, seven days a week to find out how much more they could get for their money at this exciting development. The show home - an 'Arundel' housetype - has a number of exciting features to interest buyers, including the open-plan fitted kitchen, family area with French doors to the rear garden. There's also a ground floor study, while the spacious master bedroom has an en suite and built-in wardrobes to bedroom one. "There is so much included in the price of a Bovis Home that many other house builders would call extras," explained Carina. "The integrated kitchen with hob, cooker, dishwasher and fridge freezer and the built-in wardrobes - they come as standard with Bovis Homes. "We're proud to be building in Shrewsbury and Bowbrook Meadows is quickly becoming an attractive new part of this community. From first-time buyers to growing families moving up the property ladder to downsizers, we've got something for just about everyone." 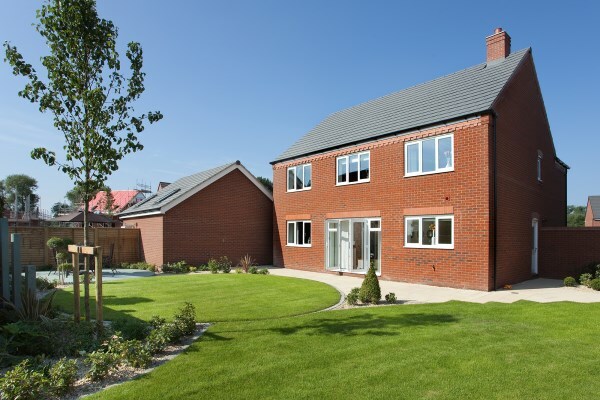 Bovis Homes creates contemporary properties built to traditional standards and their all-inclusive homes come with a 10-year NHBC warranty as well as a two-year Bovis Homes guarantee and service from a dedicated customer care team. For more information about Bowbrook Meadows and all Bovis Homes purchase assistance schemes, call the sales team on 01743 617011 or visit www.bovishomes.co.uk.